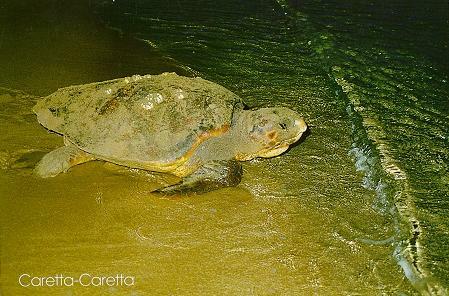 The Loggerhead Sea Turtle, Caretta-caretta the only marine turtle nesting in Greece and the Mediterranean. Zakynthos is has the largest hatchery left in the Mediterranean where about 2,000 nests are laid annually. Kefalonia has a smaller population, with less than 150 nests between Skala and Lixouri. This turtle nests also in Crete and for the first time last year in Santorini.